Shion was born on February 2, 1990. Her career as a professional singer started 9 years ago. The media called her a “Late blooming diva”. She effortlessly sings with a beautiful, powerful, and distinctive voice. Her axe as a singer is the quality in her singing. She also writes her own lyrics which keeps the numbers of her female fan to raise. She curates her own events and shows. She is also active in TV commercials. When she was 12 years old, she won “Avex Audition 2002” which made her decide to take a path as a professional singer and move to Tokyo from Nagasaki. After taking singing lessons for 4 years, she released her debut single “BOY”. After 8 years as a singer, she decides to start as though it is the beginning of her career. Restarting and decides to progress in her field and further, not only as a singer, but as an artist. On July 25th, after 2 years of developing 14 songs, she released her first full length album, “GIRL”. Before the album release date, she personally travelled to all the 88 Tower Record stores in Japan to advertise her album, handing out flyers (some may say that this is rather old fashioned these days, but her action was genuinely sincere and effective). 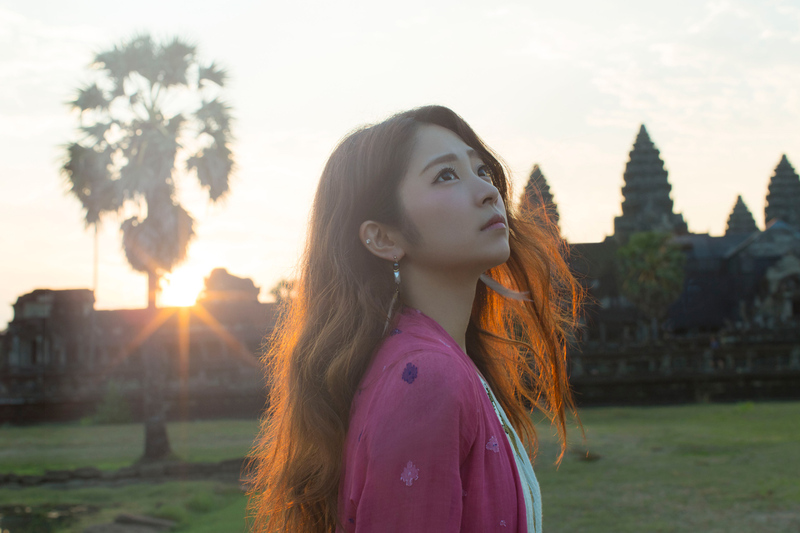 She is known as the first Japanese artist who shot a music video at Angkor Wat, in Cambodia, which features one of her songs from the album “Kono Sekai De Omou Tatta Hitori No Hito” (The only person that I think of, in this world). In 2015 December 2nd, she released a single featuring her ballad “Saigo No Yasashisa” (Last Gentleness) and “Hana Hiraku Toki” (The moment flower blooms). Hana Hiraku Toki is chosen as an ending theme for TV animation “Brave Beats”. January 2016, she released 3 songs online. In May 25th she released 5 song LP which includes “Kaketa Tsuki” “Chipped Moon” and “Mata Kimi Ni Aeru Hi” (The day, I’ll see you again) (these songs are also featured as ending themes for animation “Ansatsu Kyoushitsu”.